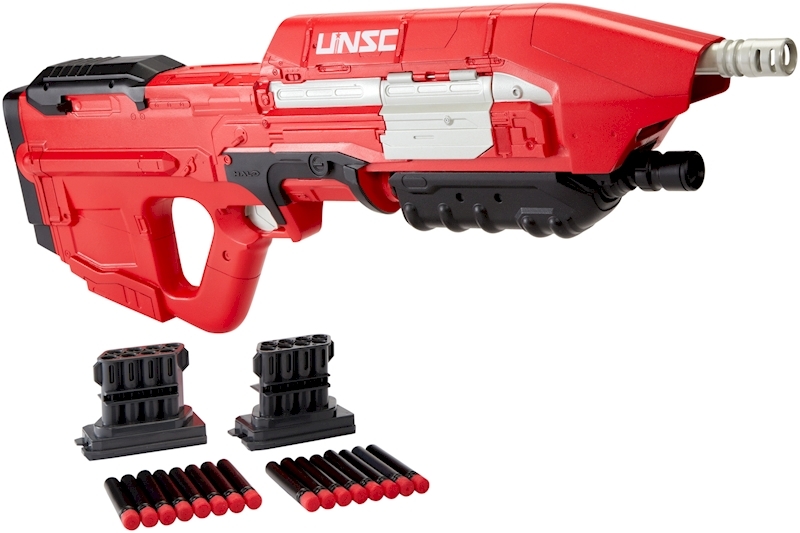 HALO® UNSC MA5 BLASTER Dart Toys & Blasters - Awesome Blasting Gear & Toys for Boys - BOOMco. 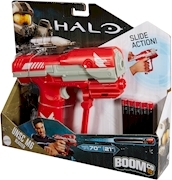 Halo® powered by BOOMco.™ brings to life one of the most iconic Halo blasters ever—the MA5! 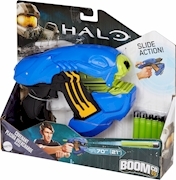 It’s the go-to weapon for Master Chief, the heroic Spartan. 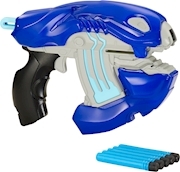 Pump the handle in the front to prime air pressure and then fire a barrage of darts in seconds for ultimate firepower! This blaster delivers true-to-game features with its ultimate rapid-fire action, interchangeable clips, and extra clip storage. 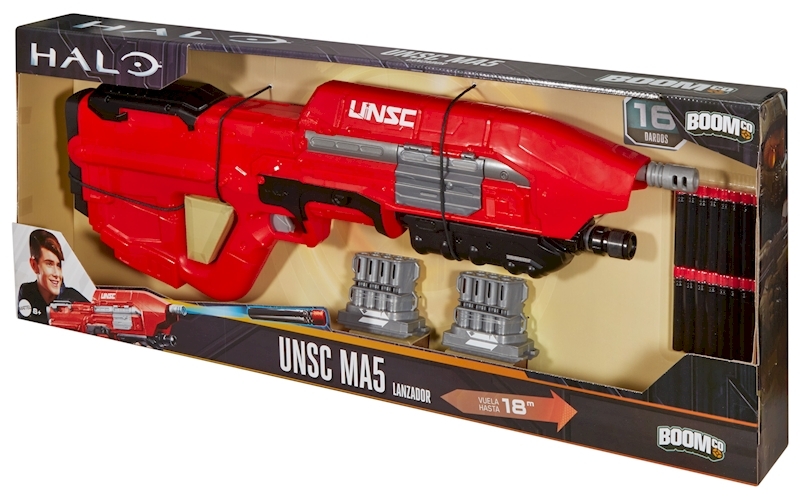 Uniquely designed with decorations exclusive to Halo, the MA5 can blast multiple darts before needing to reload. Keep the action going with two 8-dart QwikClip™ clips designed not to jam. 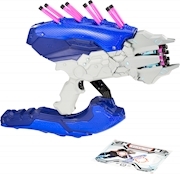 The authentic MA5’s size, speed, and QwikClip™ compatibility make it a must-have blaster that will dazzle kids and adult collectors!